Sabores Aztecas Pickled Tender Cactus. 360gm. 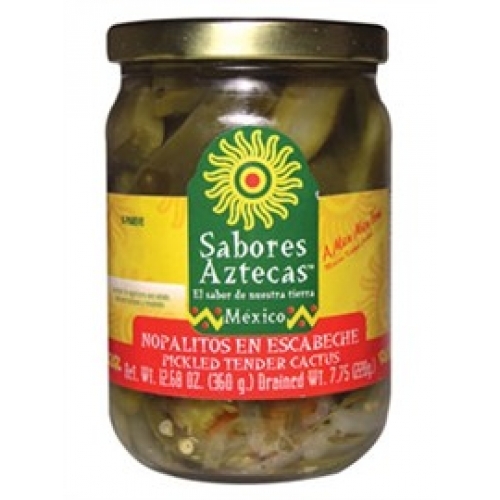 Home > Sabores Aztecas Pickled Tender Cactus. 360gm. The history of Sabores Aztecas begins in the year of 1971 in San Miguel Allende, Guanajuato, Mexico. It was founded by Antonio Madrazo and his son Patricio. At the present time, Sabores Aztecas exports to more than 20 countries with theSabores Aztecas and San Miguel brands including products such as: Mexican specialty sauces, creams and soups, fruits, vegetables, preserves and other dehydrated food products.